We offer a cloud based and NVR solutions that are scalable to fit any size business. Shield installs high-end cameras, recording equipment, and video management solutions. 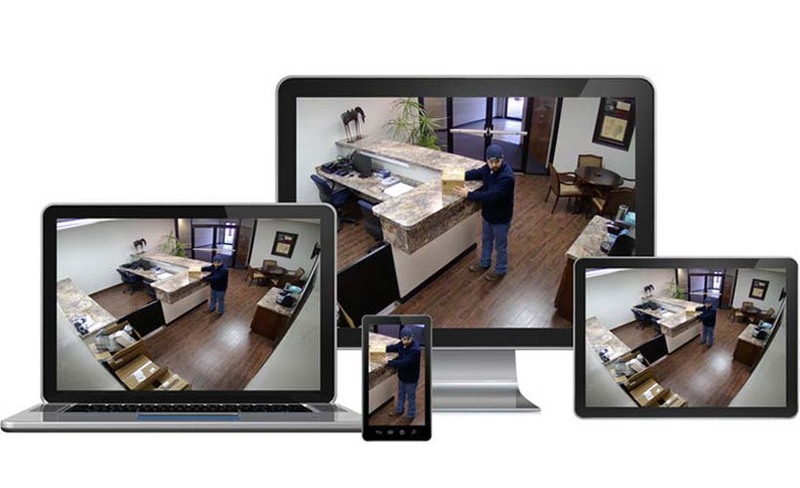 With Shield’s Eagle Eye cloud based system your video can be accessed securely from anywhere in the world via computer, tablet, or cell phone. Shield also offers a wide range of high-end camera surveillance and recording equipment (DVRS or NVRs). 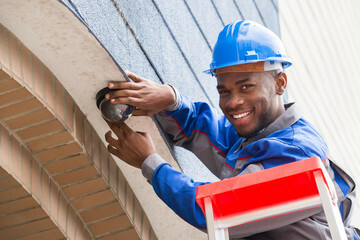 Our expert camera engineering team here in Las Vegas can install high-resolution cameras in almost any locations, to get you to the perfect field of view! Our range of cameras is infinite. Shield has access to all the top-quality name brands such as: HIKVision, Arecont, Axis, and more. We are experts in Exacq Technology VMS (Video Management Software). There are a wide range of cameras that work with the Eagle Eye System. This is a cloud based system requiring minimum equipment at your site. As the system is web-based there is no software to load on your computer, tablet, or phone. Eagle Eye not only has the mobile access needed, but its off-premise recording means you don’t have to worry about anyone tampering with your video evidence. Eagle Eye fully encrypts the video, so you know the content is completely secure which is an absolute requirement for Police agencies, in order for the video to be used as evidence. Shield recommends and installs a wide range of cameras by various manufacturers and offers NVRs and DVRs to meet your recording and storing needs. We work with major brands such as: Arecont, Axis, ExacqVision, and HIKVision. Our clients can feel confident when we install a DVR or NVR it is reliable and fits their application and budget. The cameras we install will ensure a quality image based on your specific needs. All our systems are scalable to meet the needs of the small business owner as well as the corporate business environment. All our systems offer remote access via computer, tablet, or phone to view live or stored video. Offering you the peace of mind to access your video from anywhere in the world. Please contact our sales manager today for a free quote & "no hassle" risk assessment! Find out how our protection services can shield what matters most to you.